A Temple-Tomb of the Resurrection, port of Εternity, the Hieroglyphs and the end of two failed ventures! 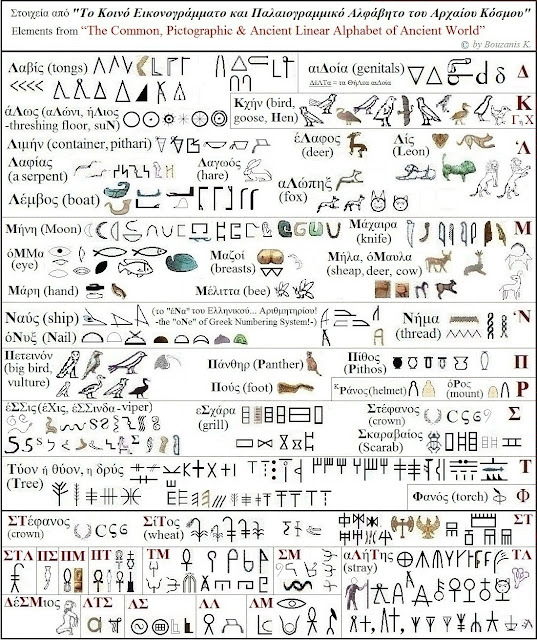 It is necessary, we must to reread the Hieroglyphs in language which they were written! And here, on Gravestone of this Grave Monument of Kalloni Queen (from... German Museum! ), beats the heart of the unique Protogeneias Hellenism! 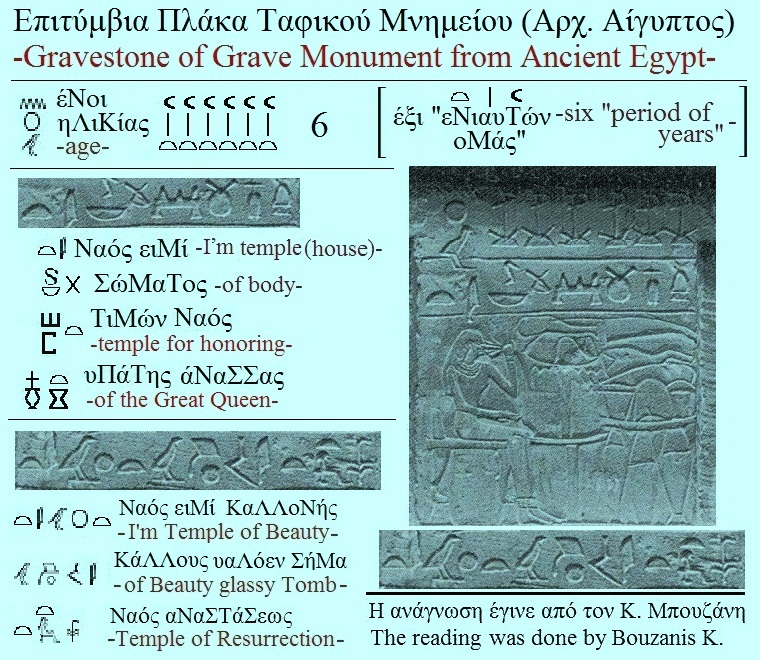 Here, the Gravestone-Templo of Grave Monument of Kalloni Queen*, enlists and the written word, is addressed at laymen but at literate Egyptians! The local, Egyptian Idiom of Writing is formed from the Common, Eikonogrammati & Palaiogrammiki Writing of Sea Peoples** of the Mediterranean and of around the Mediterranean, prehistoric World! *Known to specialists of hieroglyphics as "Gate of Kut En Phtha", with readings... German style. ** Mythical the birth of the People of Sea (the Hellen), after melting of glaciers of the above us Europe, the resulting congestion (deluge of Deucalion) and reformatting of the Mediterranean coast. The Horapollo from Nilos, grammarian of Alexandria, with his "hieroglyphs" (Patmos 1419), while appears as an expert, not failed to convince us, but his deliberately misinformed us! His followed the Lord of Delphi, the Plutarch who, two millennia now, is struggling to conceal rather than reveal the truth about the "E of Delphi". Here, we will not say vices for Ancient Adepts! We will keep Plutarch and Horapollo to... ratify the "The Code of Generation and Enrichment of Universal Speech". From Jean-Francois Champollion (1790-1832), a French scholar, Orientalist, who considered today the father of Egyptology and from the British sages, M. Ventris and J. Chadwick... decipherers of the so-called Linear B, we will point out the confession of the failure of "YES! But…" and "Half job means nothing around something"! The Champollion, phenomenon intelligences (... French! 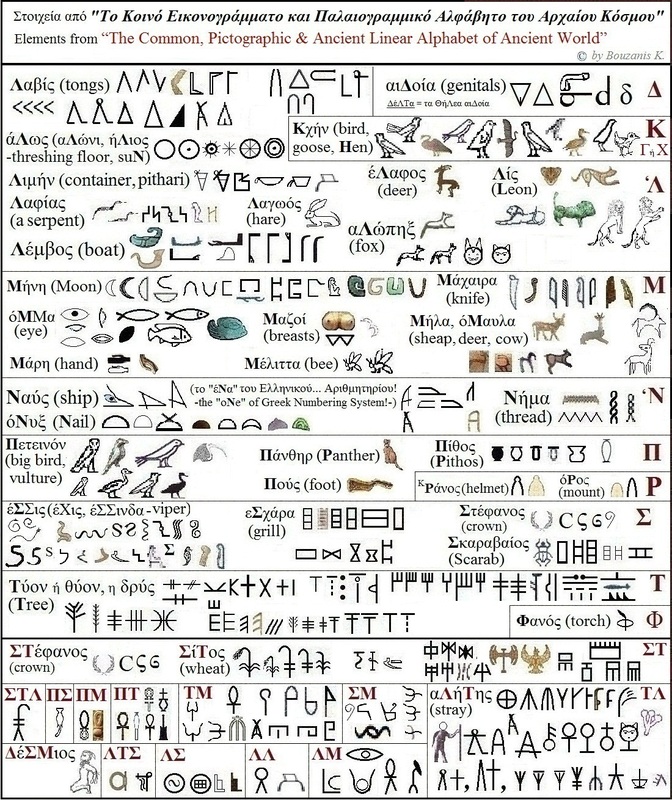 ), will find his own path through the Supreme Ruler and King, the Ptolemaios, and through Cleopatra, from Egypt of G. Alexander and when luck will not be able to follow him, he will teach a dual Egyptian Marking and Reading System, based on vocal letters, this one, and the other an ideographic notation! He will serves to us the same... intelligence that, a century later, two other sages (... Englishmen! ), M. Ventris and J. Chadwick, deciphered(!) the Palaeogrammiki Scripture after the split in Linear b΄... it sat on them, and in Linear a΄... it did not make the grace them and stayed to wait, in vain, an… wiser American or German! In the beginning was the word! The reasonable person have voice, therefore, not writes... illustrators! The reasonable person have voice, and in Prehistoric Globalized World, because of trade, must had a Common linguistic Code and could not change it neither every one thousand nor every more of thousands years! Αναρτήθηκε από Μπουζάνης Κων. - Bouzanis K. στις 9:14:00 μ.μ.